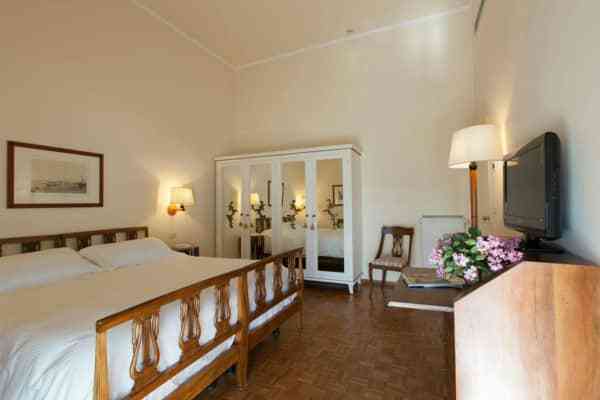 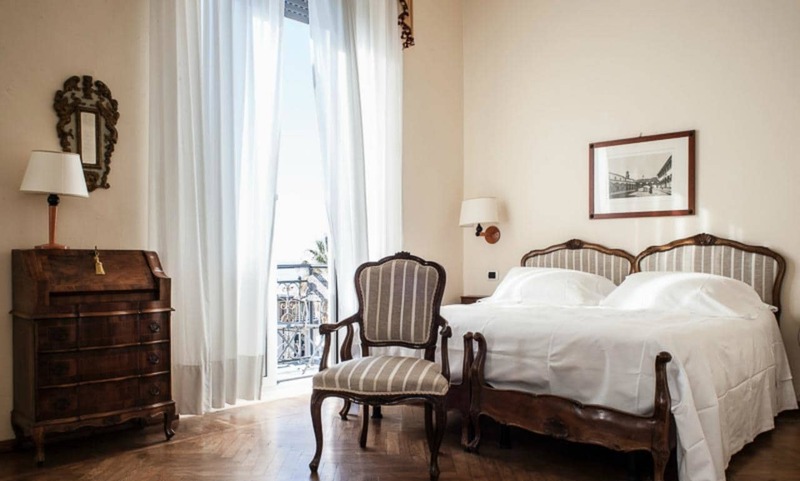 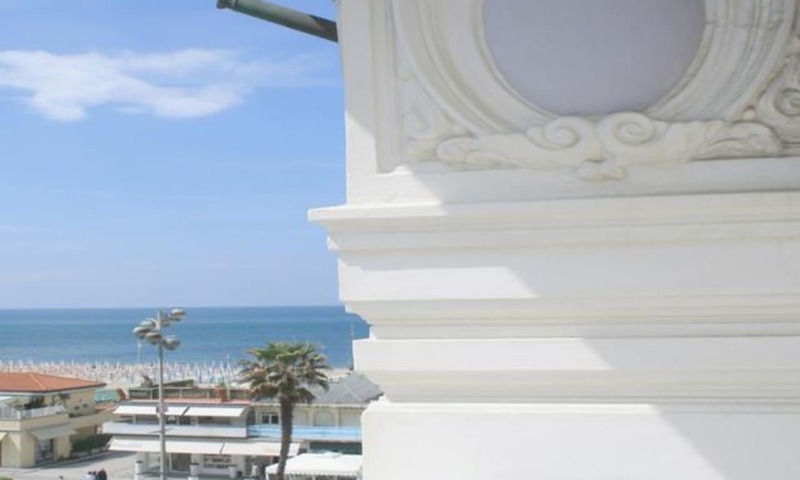 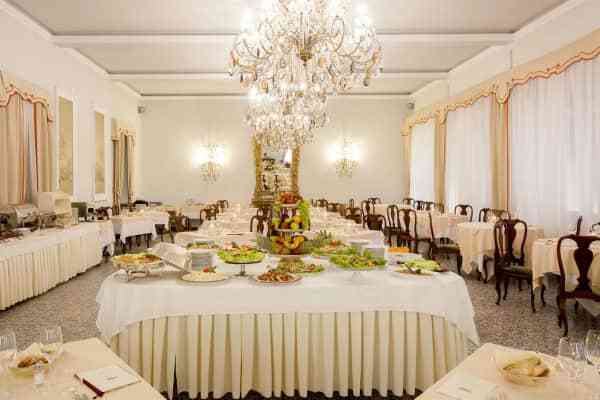 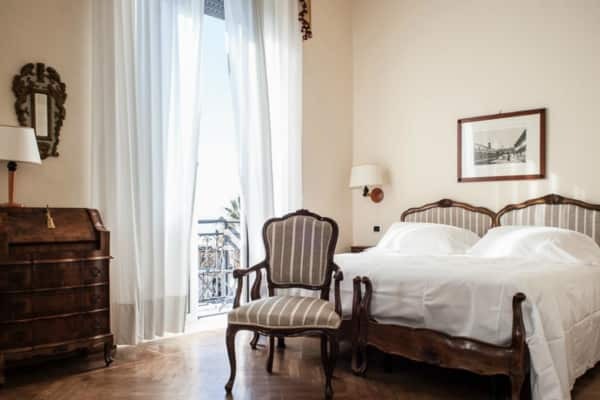 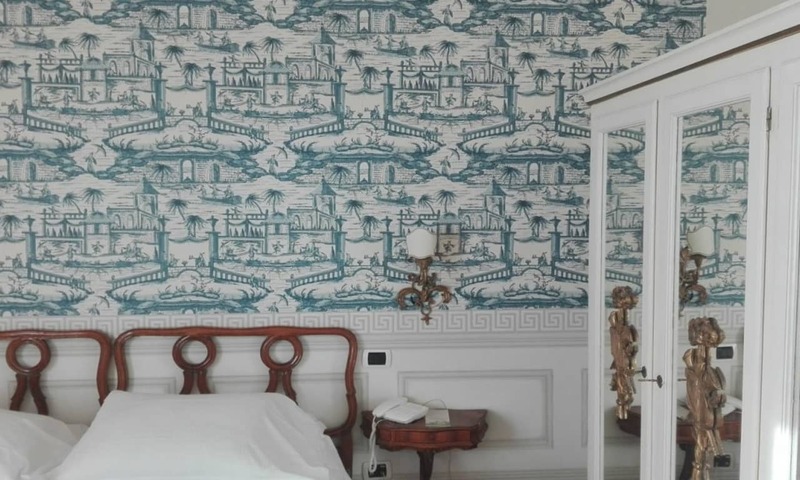 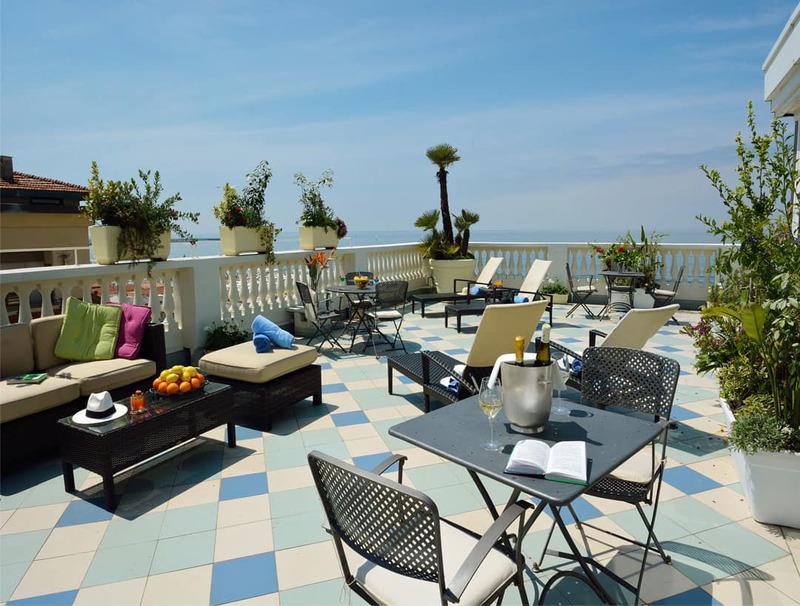 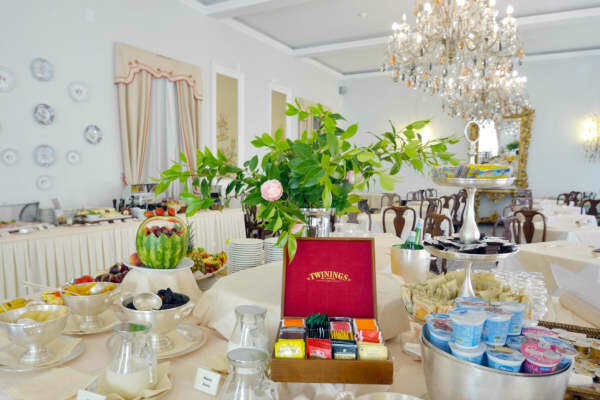 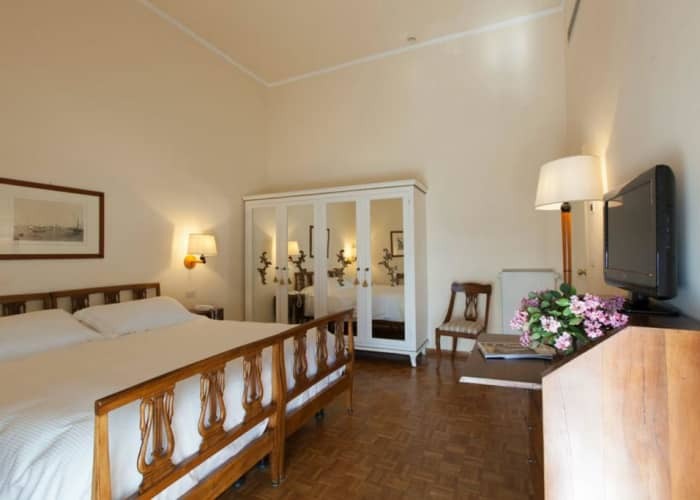 A unique and wonderfully well kept hotel, full of historic grandeur, the Palace Hotel lives up to its name, providing beautiful classical interiors, wonderful facilities and stunning views of Viareggio’s seafront. 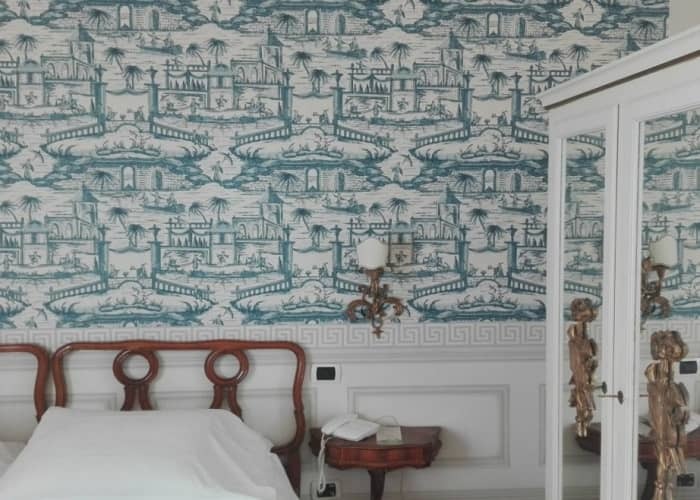 Decorated in a Liberty style this hotel is elegant, refined and simply gorgeous from the outside in. 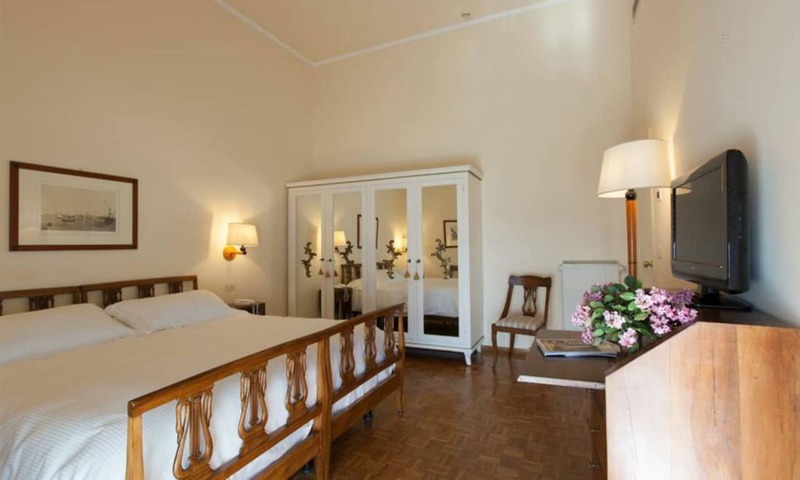 During the early 1900’s it was a favourite of international artists, scholars and aristocracy and the past echoes throughout each of the rooms here. 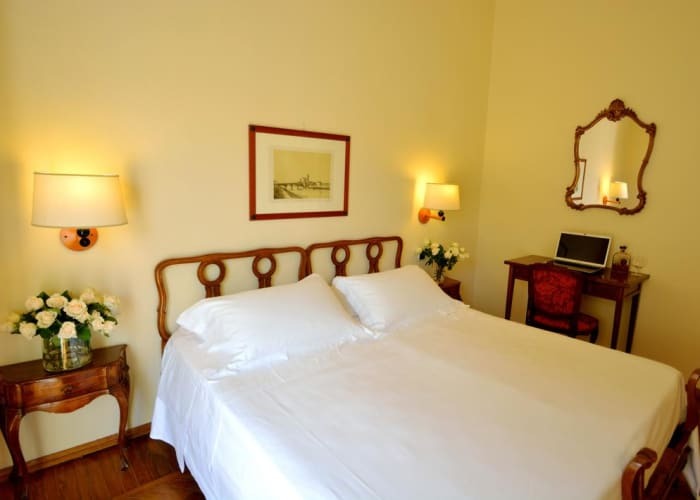 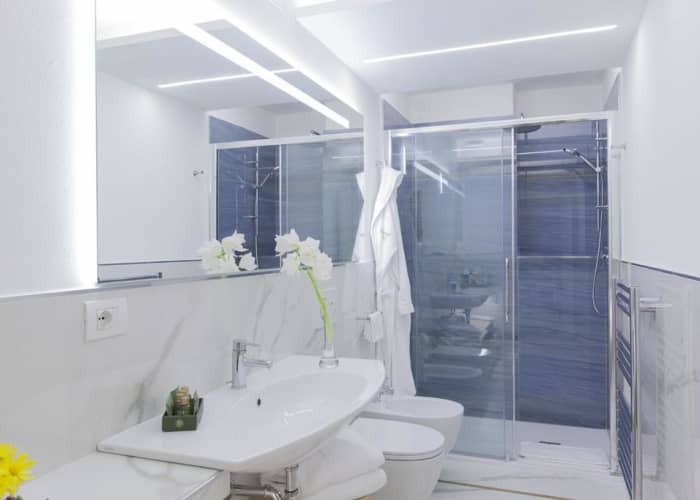 However, although this is a hotel with a rich and vibrant history it is fresh and up to date in terms of facilities and decor. 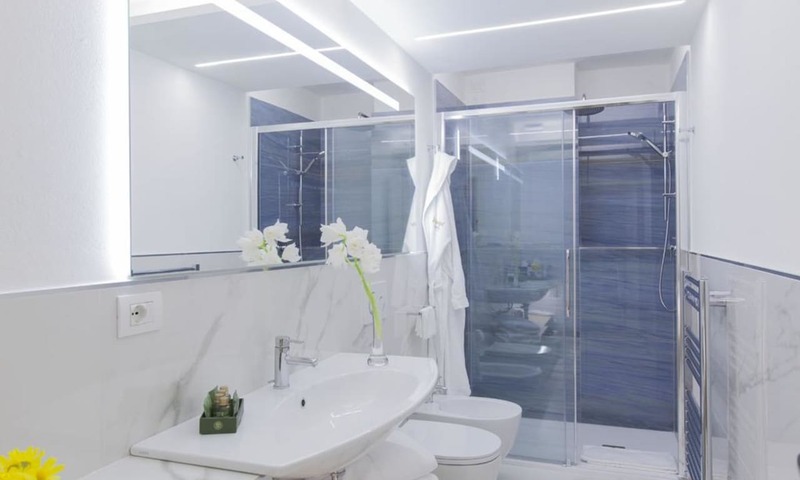 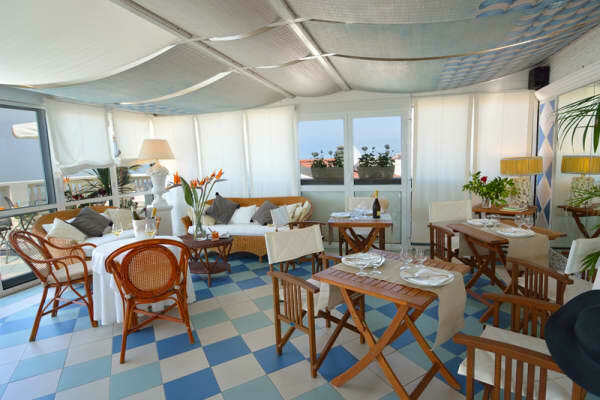 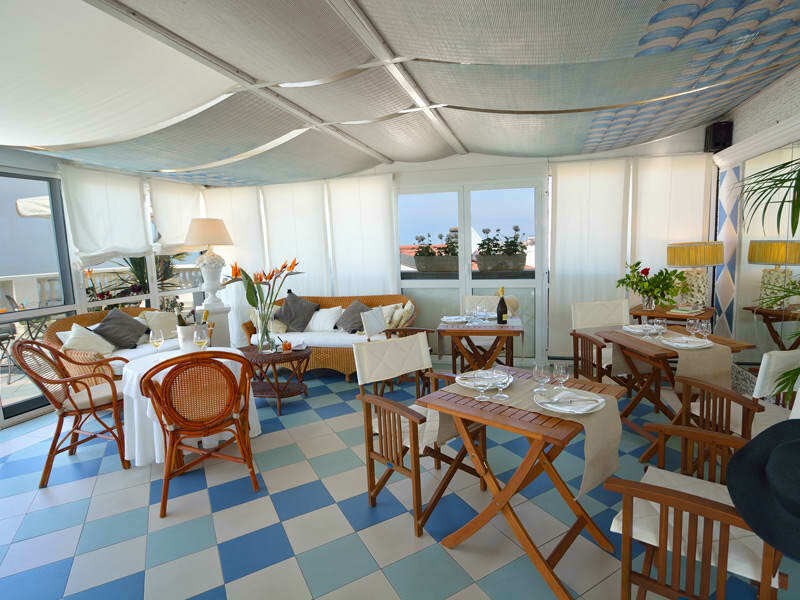 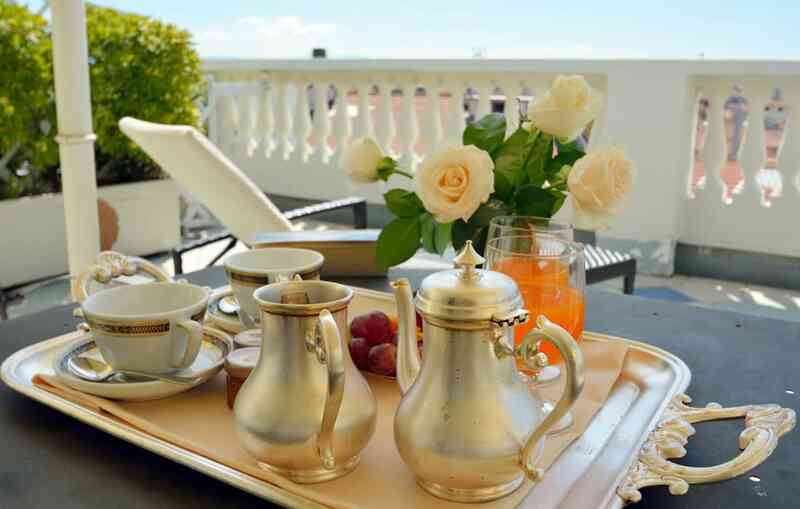 The beautiful rooftop terrace is a real showstopper in this hotel. 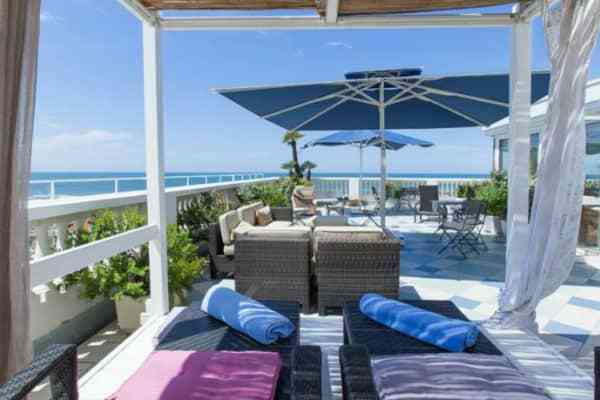 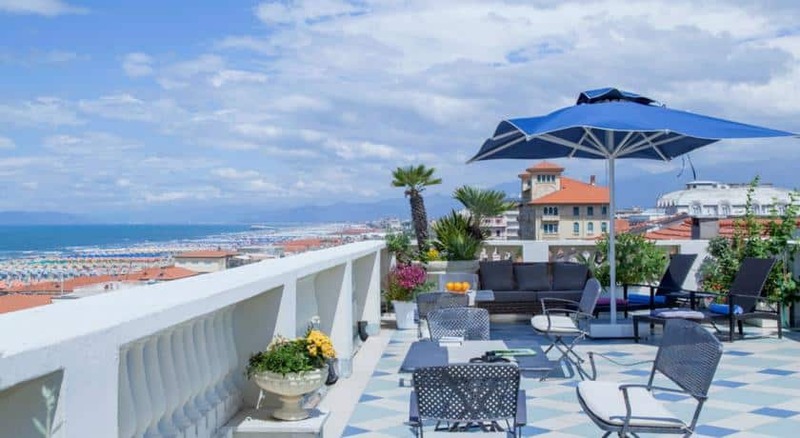 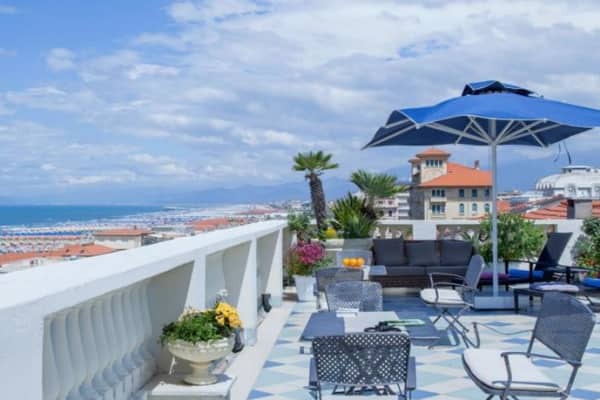 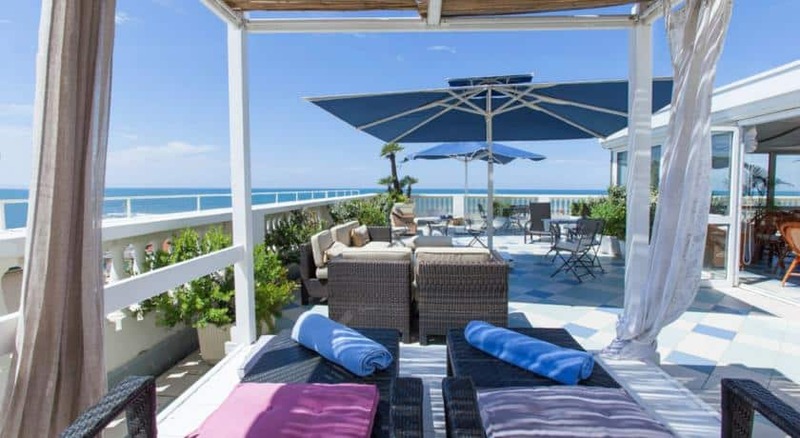 Stunningly beautiful views that stretch across Viareggio’s seafront invite you to sit in the sunshine and simply take it all in. 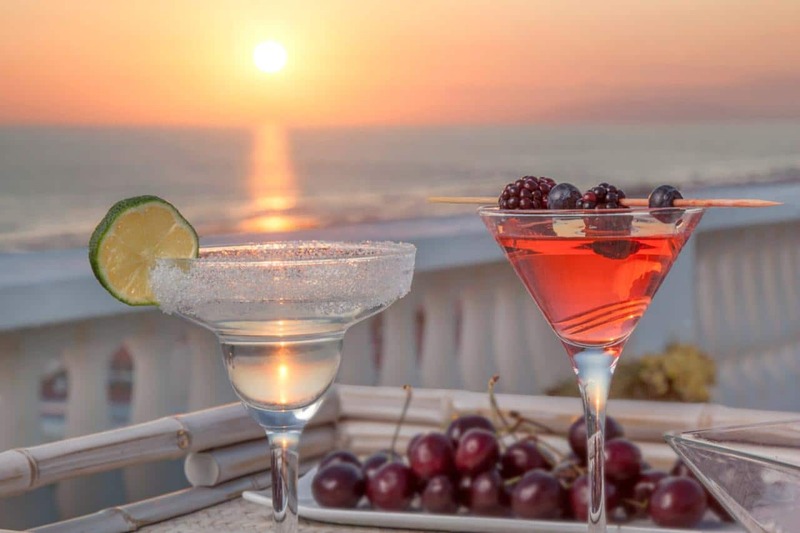 The bar service makes it an ideal place to relax and enjoy a cocktail while watching the world go by. 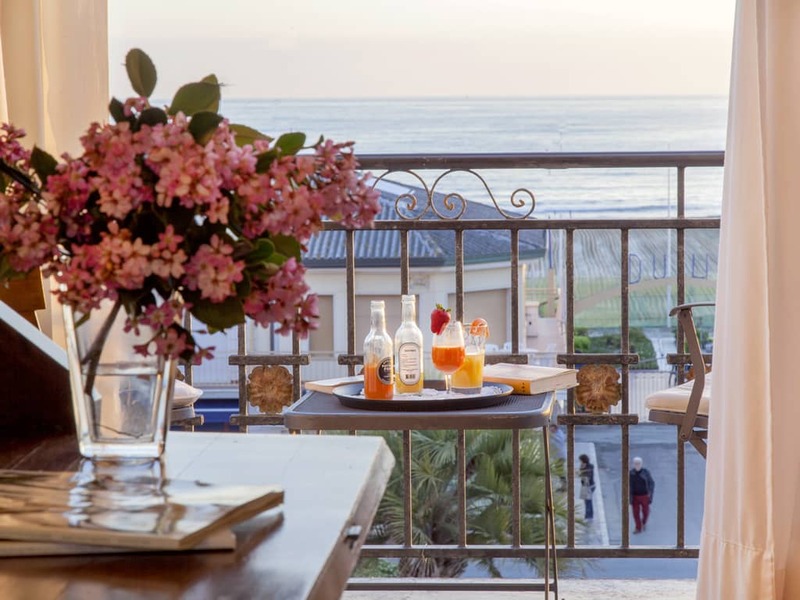 If you want to make the very most of your beachside stay, the La Pace beach area is just a short and pleasant walk from the Palace Hotel. 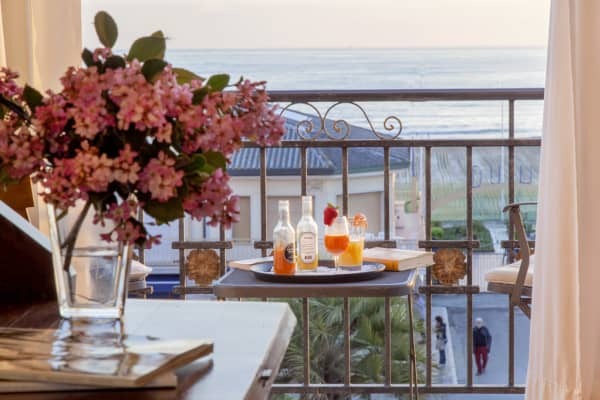 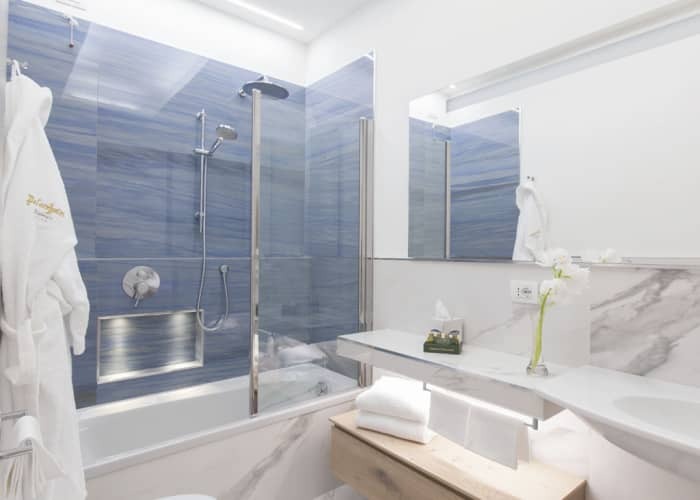 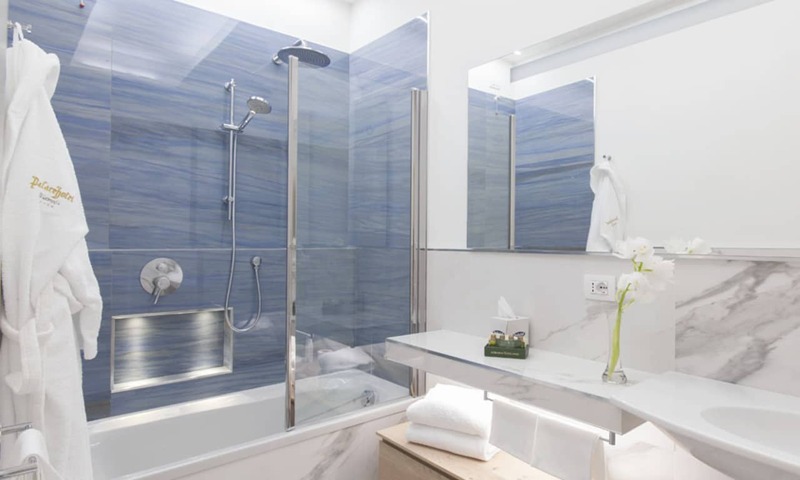 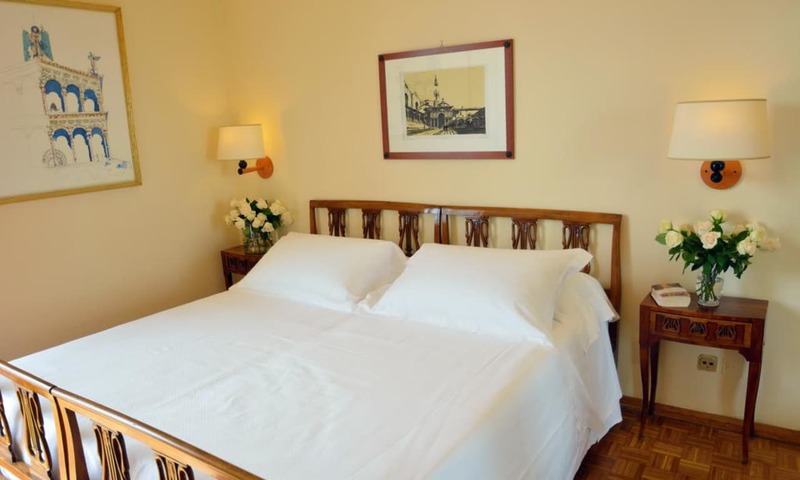 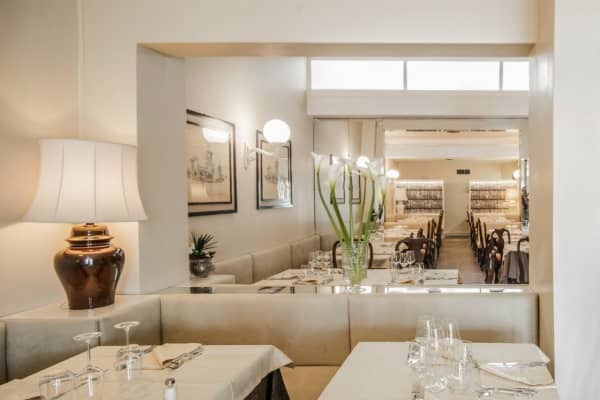 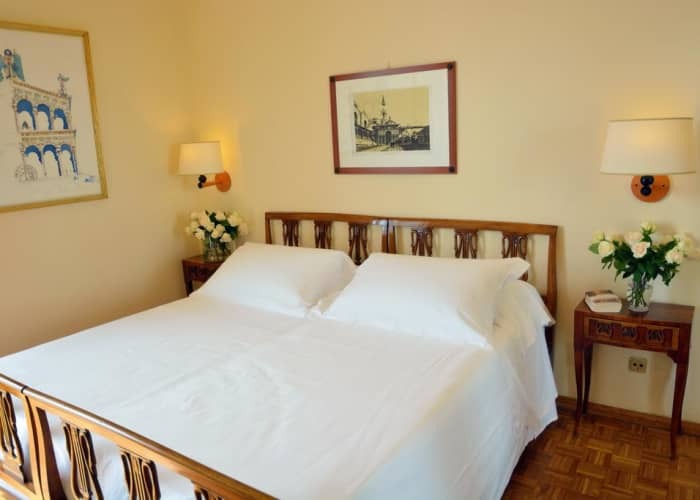 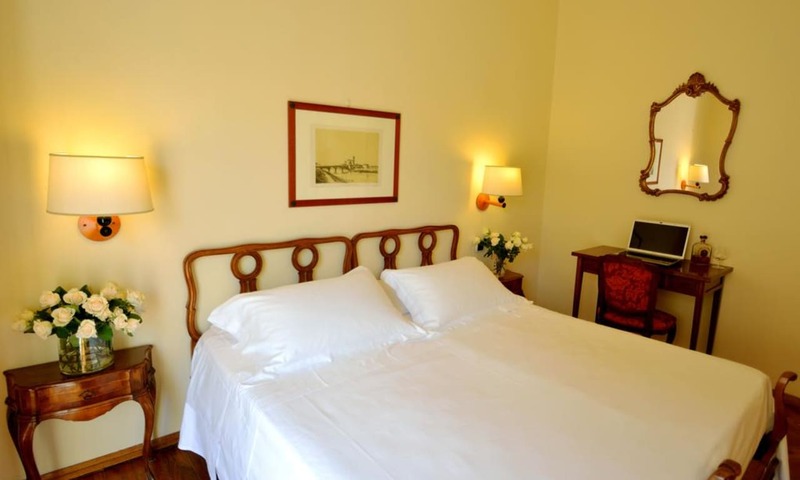 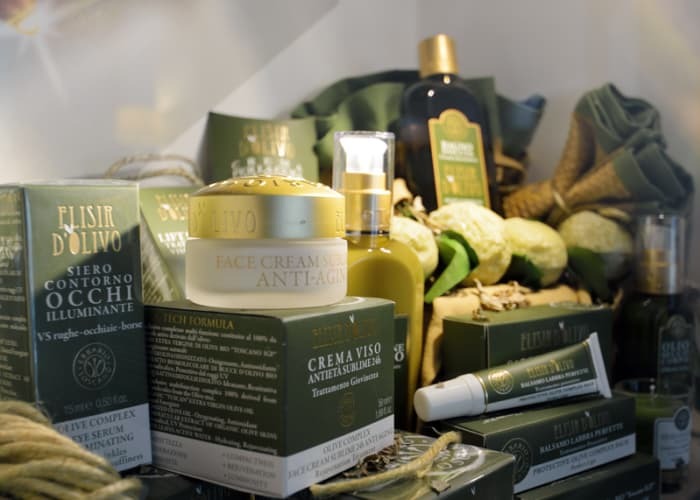 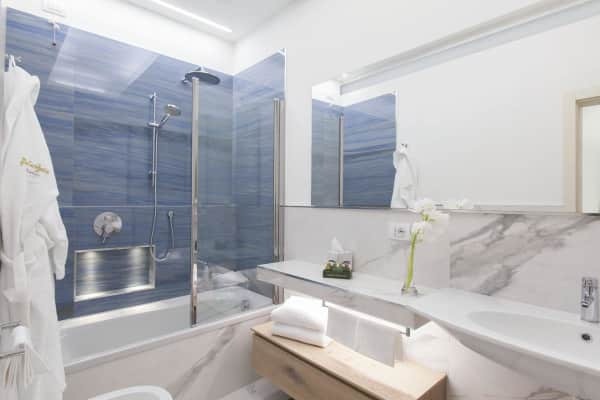 Guests are invited to make use of the hotel’s very own private area, which they can book locally and spend a day or more on the fine, sandy beaches of Viareggio. 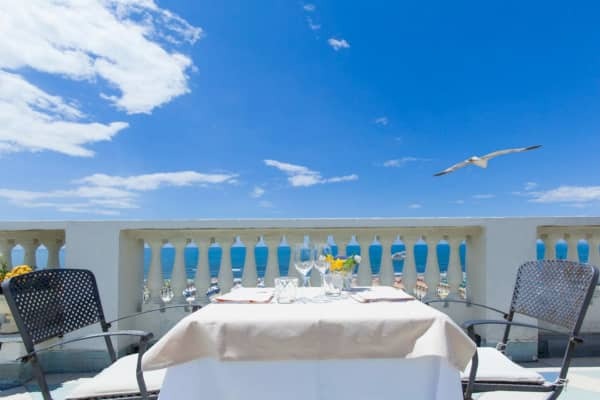 Should you wish to dine at the hotel in the evening time, the restaurant offers delicious Mediterranean cuisine in the most beautiful and inviting of settings. 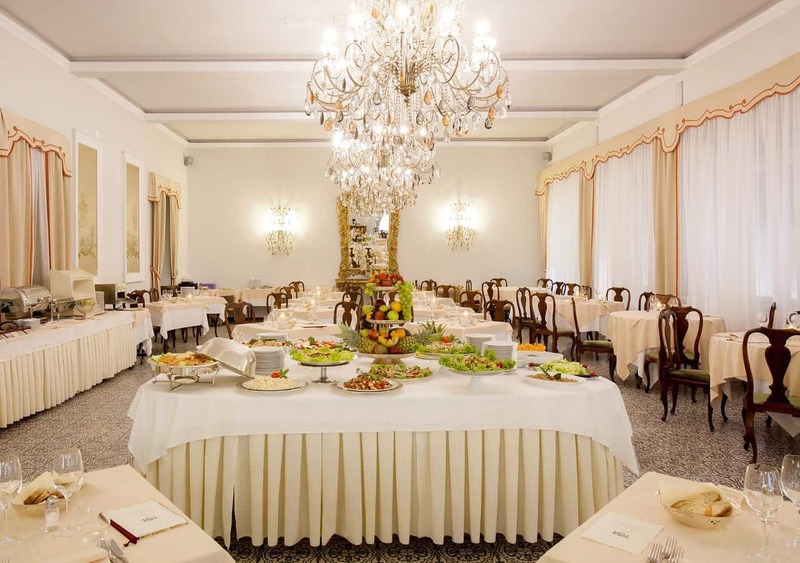 The elegant dining room has a real sense of occasion and guests can enjoy sitting amongst chandeliers and decadent antique furnishings. 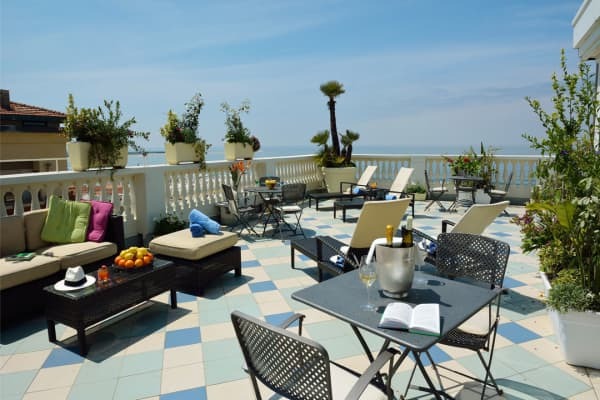 Sat right opposite the sea front promenade, you can take in some magnificet views from the Palace Hotel. 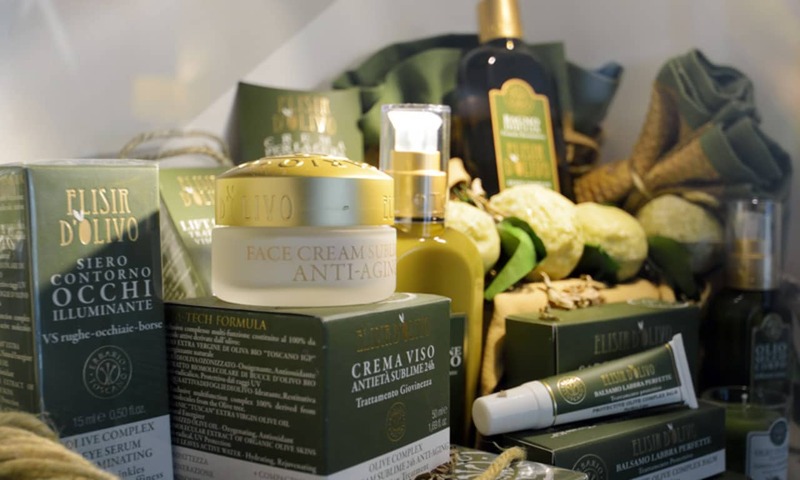 You only have to step outside to get to the shops, restaurants and cafés of Viareggio.